Market trends, whether in stocks or crypto, tend to fluctuate a lot, and these fluctuations bring with them a lot of opportunities. In the cryptocurrency industry, investors stand to gain a lot during a bullish market trend and lose a lot when the market is experiencing a downward trend. An upward trend of price in any industry can be attributed to a rising GDP or a strengthening economy. But besides these core influencers, there are other factors that can promote a bull run in the cryptocurrency industry. One such element is the introduction of new features or products that will take the industry by storm. These features will capture the interest of many investors who in turn will invest in promising altcoins in the industry. Similarly, altcoins are significantly less affected by the volatile nature of mainstream crypto sentiments. In that sense, they often grow at a steady rate which boosts investors’ confidence to invest in altcoins. Currently, the market is full of different ICOs which have great features and products slated to be released soon. Some of these projects include PlayChip, BITSMO – who are coming up with ever faster-matching engines in the market, Alive Play Casino, who gives players an opportunity to play casino games in VR, and many more. On the other hand, there are altcoins that are on the verge of giving dominant cryptocurrencies like Bitcoin and Ethereum a run for their money. To name a few, VeChain, Verge and Ripple are among the list of such altcoins. 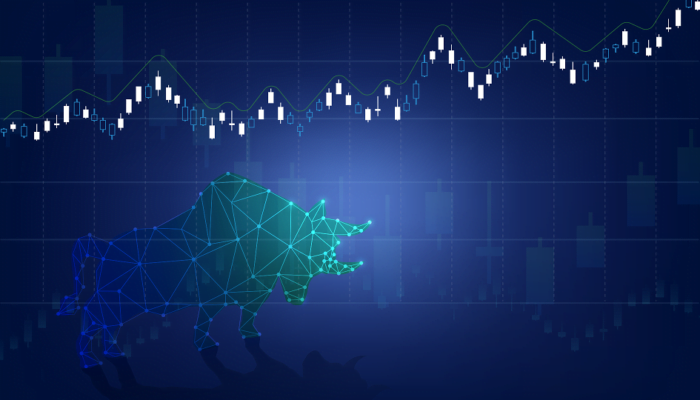 The rise in demand for these altcoins is driven by their recently released updates, resulting in increased traction – something that will come in handy during the ‘bull-run’. For obvious reasons, a rise in the value of these coins results in increased turnover and market capitalization which ultimately contributes to their elevated importance in the cryptocurrency ecosystem. Furthermore, the opportunities opened up through altcoins will make them the most sought-after coins, hence increasing their usability. For instance, the long-awaited NAGA CARD will help the NAGA platform grow its user base significantly. The chip-based debit card will enable users to load up fiat funds easily from their trading accounts, even the ones funded by NAGA’s cryptocurrency, the NAGA COIN. As part of the ongoing push to grow the NAGA Ecosystem, the NAGA CARD will be fully integrated across all NAGA’s platforms. NAGA TRADER users, the company’s revolutionary social trading platform, will be able to transfer their stock market profits directly to the NAGA CARD and spend their winnings on “real-world” purchases. Users of NAGA VIRTUAL, the first independent and cross-platform virtual goods marketplace, will similarly be able to transfer their in-game profits into cash that can be spent both online and offline, all over the world. With NAGA CARD both traders and gamers will be able to fund their accounts on the upcoming NAGA EXCHANGE, a fast and reliable cryptocurrency exchange platform. Equipped with top-level security and fraud protection, NAGA EXCHANGE will provide a fast and reliable KYC and AML verification, along with multi-factor authentication. After a successful account verification, users will benefit from unlimited funding and withdrawals via multiple options – major credit & debit cards, bank transfer from top banks, as well as leading eWallets. Although altcoins came after major cryptocurrencies like Bitcoin, they have displayed significant growth in recent times. Creators of these altcoin ecosystems have the luxury of learning from the drawbacks of mainstream cryptos and can capitalize on this acquired knowledge to create the next generation of really big cryptocurrencies.